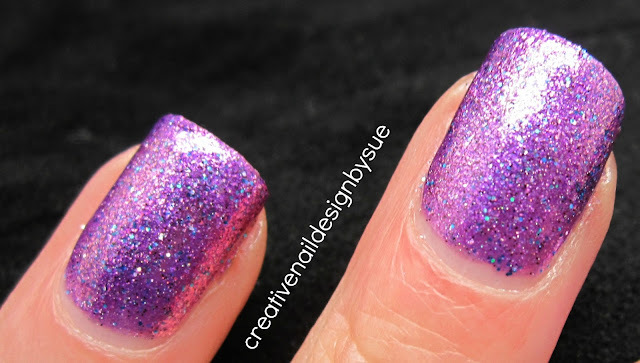 You can buy KB Shimmer's Lilac and other great polishes here. Amazing mani. It so much fun to look at those smiley small sun's. Love it! 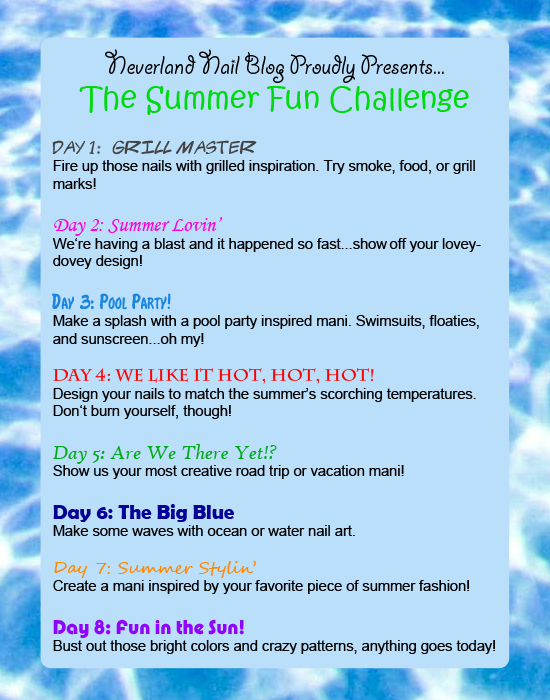 I am curious do you make this designs on both of you hands nails? Thank you. I generally do both hands but with a lot of detail like this, I may only do two fingers as accents to match. Ooooh! I like it! 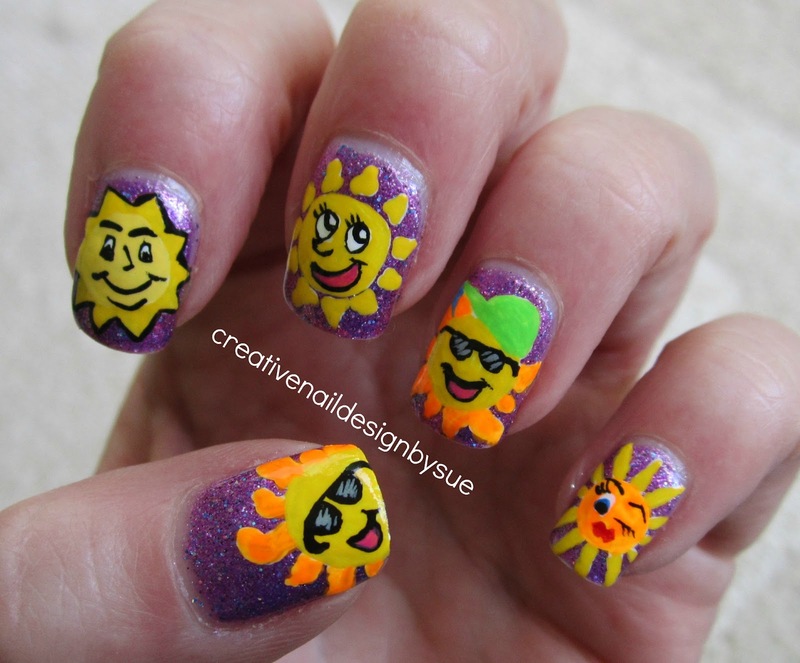 Those are some cute suns! So fun summery and super cute! omgoodness these lil guys are so adorable!!!!! and the base coat is amazing!!! The base polish is beautiful and I love all of your sun designs!